No better way to enjoy school break than to practice winter sports with the whole family! 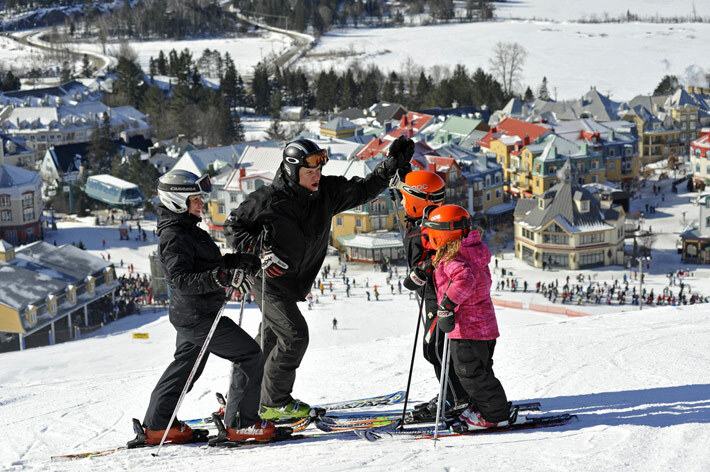 Kids 6 to 17 years old get the most of their ski experience in Tremblant with 5 days of skiing for only $119. Tremblant also offers discounts on equipment rental on Quebec weeks and brings back Ski Weeks at the Snow School for the Ontario week. This 4-day on-snow program for kids includes a group picture, a friendly race on Thursdays and a farewell dinner on Thursday night. Tremblant’s Snow School and its certified instructors also allow kids and adults to improve their ski or snowboard technique and style with private or group lessons. A lift, equipment rental and lesson package is offered for only $145. The whole family will be able to enjoy an exciting school break on the mountain and at the heart of the pedestrian village! Participate in team games, stretch your legs on our open-air dance floor and take pictures of our mascot Toufou, the most famous white-tailed deer around! Enjoy winter’s joys in a dream setting and bring lasting memories to your school break!